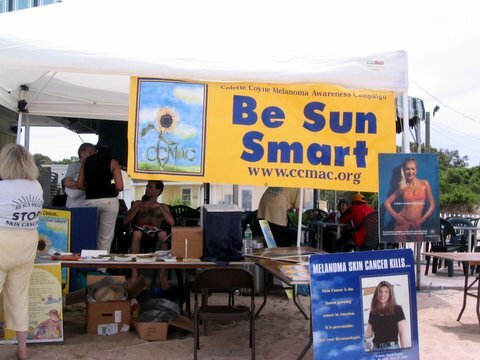 “FREE” skin cancer screenings were offered at Suffolk County’s Meschutt Beach in Hampton Bays. 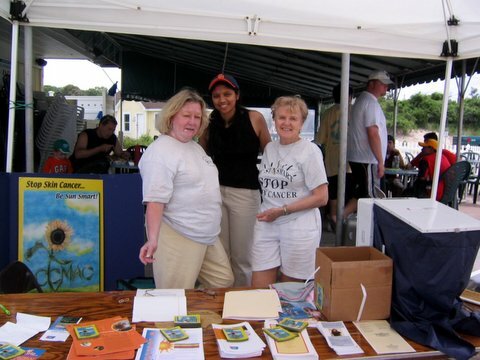 CCMAC continued this initiative every weekend through the summer of 2006. 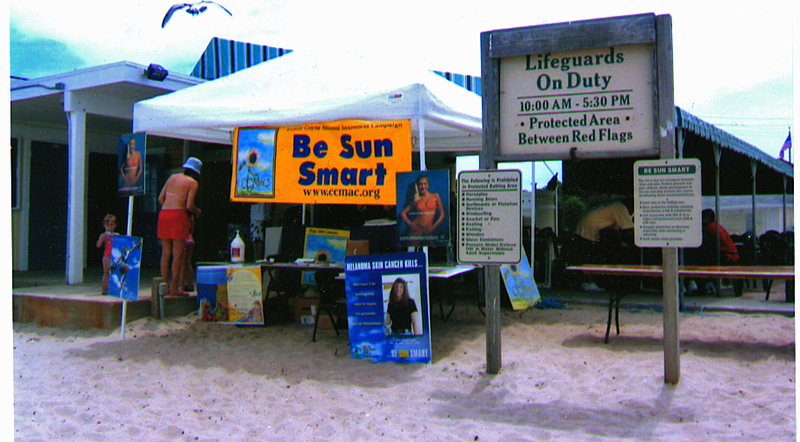 We thank the Suffolk County Parks Department personnel for setting up the tables, tents, and electric contributing to the overall success of these events. In addition, we thank Carole Frost Kelley and Sarika Shirat Stony Brook Dermatology Medical Student for their time and effort making the events a great success, and Special Thanks to Dr. McCLain, Dr. Tepper, and Kim Rhatigan–Drexler, of McClain labs for not only supplying the DermaScan Machine, but also for conducting the skin exams, and providing much needed medical expertise.